Huawei is one of the leaders in the smartphone industry worldwide. Huawei has recently launched the new member of Huawei Enjoy Series and it is named as Huawei Enjoy 7S. The aspect ratio of the smartphone is 18:9 which means this has an edge-to-edge display with narrow bezel. The specifications are awesome and so are the stock wallpapers it comes with. Within a few hours of its launch, the stock wallpapers are available for download much to the delight of the smartphone users. The device has a 5.65-inch IPS LCD screen with the Full HD+ resolution of 1080 x 2160 pixels. The pixel density is whopping 427 PPI and the body to screen ratio is 76%. The smartphone is powered by HiSilicon Kirin 659 octa-core processor and it sports the mammoth 3 GB of RAM. The internal storage is 32 GB and you can expand it to 128 GB via microSD. Coming to the camera setup, the rear side has a dual setup with 13 MP and 2 MP cameras. The front camera is 8MP with LED flash. The battery is 3000mAh one with fast charging support. 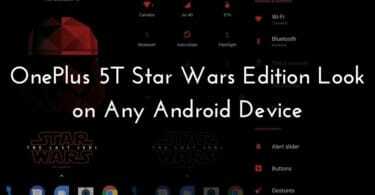 There is another variant of the smartphone which has 4 GB RAM and 64 GB internal storage. Most importantly, the device runs of EMUI 8.0 which is based on Android 8.0 Oreo. How To Download Huawei Enjoy 7S Stock Wallpapers? It is one of those smartphones of 2017 that come with Android 8.0 Oreo and the specifications are great with bezel-less display and dual camera setup. The device also comes with 4 stock wallpapers. Since a lot of smartphones launched in 2017 have 18:9 aspect ratio, these wallpapers will be a perfect fit for them. They are in Full HD+ resolution of 1080 x 2160 pixels. They are applicable to dark and light themes and they have awesome color combinations. 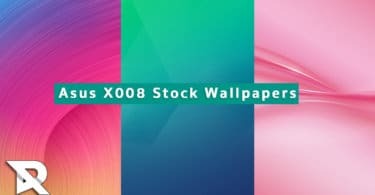 You should definitely try out these stock wallpapers on your latest smartphone and they are sure to enhance the beauty of your home screen. For bezel-less smartphones, the home screen is an important aspect and only amazing stock wallpapers can make your smartphone look truly premium. Download the Zip file from the downloadable link provided below and it contains all the four official stock wallpapers of Huawei Enjoy 7S. Apply them from time to time and make your smartphone no better than ever.